Time to be a Churper! Ready to burst out all the latest awesome news to your friends? Get rewarded by doing so! Bring your friends to sign up today and get rewarded RM 1.00 per friend invited. Visitors can either drive or take the public transport to Kuala Koh from Gua Musang, Kelantan. There is a road connecting this entrance to the Gua Musang-Kuala Krai main road. 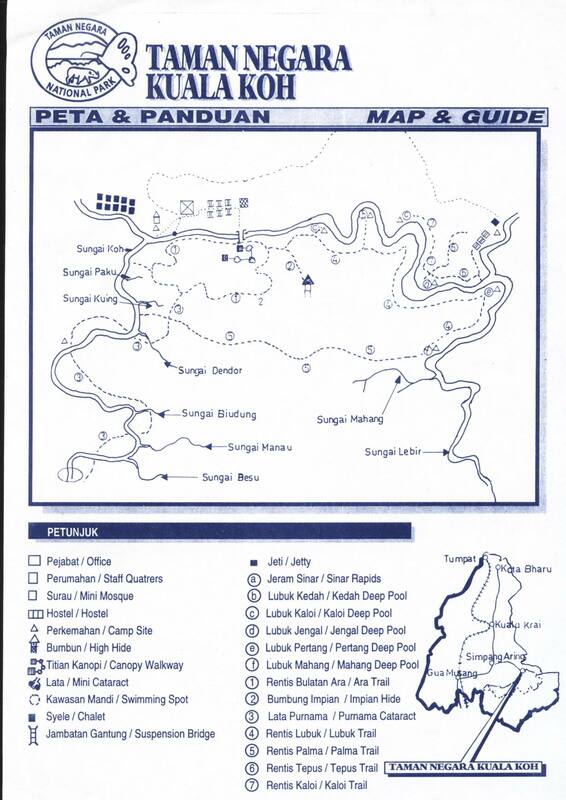 Each visitor must obtain an entrance permit at RM1 per person. Fishing licence costs RM10 each while camera licence is RM5 per camera. There are 6 chalets and a 74-bed hostel. Each chalet costs RM30 while the hostel costs RM5 per person. Campers are charged RM1 each. There are over 300 species of birds in Taman Negara. Experienced bird watchers may be able to spot more than 150 species within a few days. There are some great fishing spots here. However, take note that fishing is prohibited in certain rivers, as these rivers are designated breeding grounds for certain species of fish. A photographerís paradise, Taman Negara is blessed with exquisite beauty. Explore the limitless possibilities with a variety of flora and fauna. 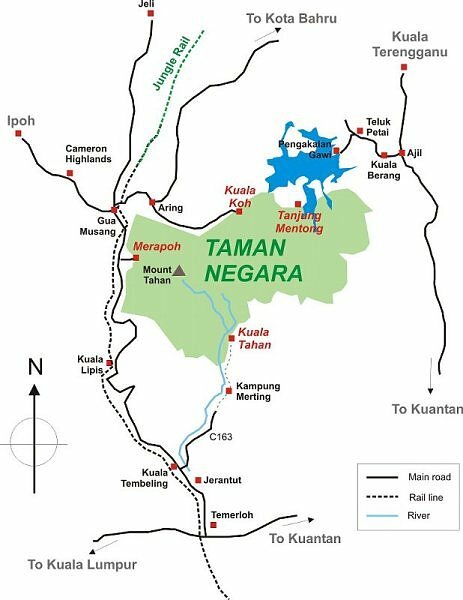 The trail to Gunung Tahan from Kuala Koh offers an alternative route for the Kuala Tahan and Merapoh trails. The Kuala Koh trail is more challenging, as climbers have to go through steep ridges. Guides are available. Several interpretive trails are available around Kuala Koh. One of them is located across the river, where visitors have to make their way across a suspended bridge. The crystal-clear rivers around Kuala Koh provide the perfect spots for kayaking.